This season the GBS Baseball team will be looking to bounce back from last year with a strong season on the mound as we return seven seniors pitchers from last years team. 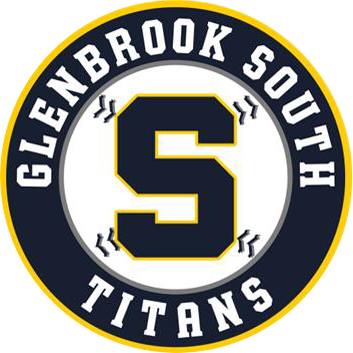 Glenbrook South returns Seniors Danny Carlson, Declan Hood, Garrett Moran, Ryan O’Hara, Zach Carr, Ryan Walsh and Kevin Redfern as well as Juniors Joe Shapiro, Danny Pauletto, Andrew Hartmuller, Matt Lau, and Kaylin Patel look to supply some innings on the mound. Offensively the Titans will be young in the outfield: Senior Mike Angel will return with some help from Brandon Matias. Juniors Luke Smith, Pat Quirk and Tommy Tsganos will also help in the outfield. Jacob Snyder and Nick Mathien who earned substantial innings last season will return in the infield. Juniors Zach Malis, Joe Shapiro, Danny Pauletto, Sophomore George Korompilas and Senior Jack Durchin will contribute to the Titan infield in 19’. Daniel Hawes, Nick Drimalla, Logan Kreske will be behind the plate. The Titans will be very experienced in 2019 as we bring back 12 returning players. This team will need to have our seniors take charge, step up to the plate and get the job done. Brandon Matias OF 2019 6’0 170 R R Brandon was an all-conference player in 2017. Nick Mathein SS 2019 6’0 165 L R Nick was our starting SS as a sophomore. Dan Carlson RP 2019 5’10 185 R R Has emerged as our #1 starter. Luke Smith OF 2020 6”0 170 L L Great athlete and has won the starting job in CF and in the lead off position. George Korompilas 1B/OF 2021 6”1 190 L L Very good hitter. All conference player as a freshman in 2018.